Death/Doom with plenty of added eclecticism marks Altars Of Grief's worthy debut. I'd hazard a guess that Canada isn't a country that immediately springs to many people's minds in connection with Doom. Indeed, beyond the obvious Longing For Dawn and Woods Of Ypres, I could only think of a handful more, mostly encountered through reviewing them. A quick look on the internet rather confirms that: it turns out that there are more bands than you might expect, but few whose names leap out in instant recognition. 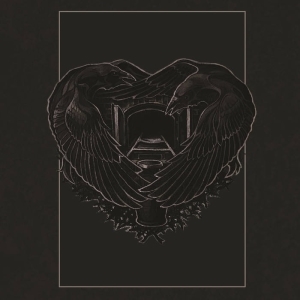 I would expect, for most, that Regina, Saskatchewan's Altars Of Grief fall into that latter category: an unsigned Death/Doom band just over a year old, with one single and this long-EP/short-album release - both download-only - to their credit. Although they self-describe as Death/Doom, that's a little misleading. 'This Shameful Burden''s actually a pretty eclectic mix of elements, borrowing from Sludge and Post-Metal, Black and Epic Doom, around a core of melodic Gothic/Death, along the way. 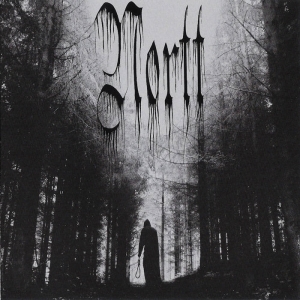 The vocals, generally, stick to a hoarsely tormented Post-Metal or blackened rasping yell, rarely straying near Death growls, while bass and guitar make fairly frequent use of typically-distorted Sludge textural rumblings. The rest...well, we'll get to that. The eponymous title track, starting proceedings, sets an unexpected tone. Building up in fairly standard genre fashion from an unaccompanied guitar introduction, it gradually feeds in choral synthesiser, darkly distorted riffs and bass, drum fills and impassioned growls - then suddenly drops into a chugging, murky swirl of distorted guitars largely submerged beneath the vocals or battered into submission by prominent, repetitive, machine-like drumbeats. Swelling keyboard motifs carry most of the melody line, which leaves the track sounding weirdly as though someone like Ortega had aimed for a Sludge take on 'Floodland'-era Sisters Of Mercy. Interesting idea, but plods somewhat towards the end. From there, though, the album starts to take on a more typical feel, mixing up Death/Gothic Doom with pacier blackened outbursts, in similar fashion to their countrymen Woods Of Ypres' mid-period work. 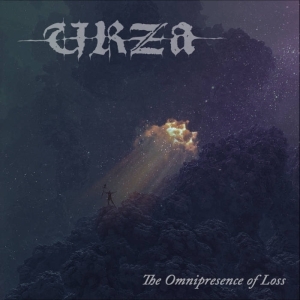 As with Woods, it's somewhat debatable which side of those particular genre boundaries it would actually lie, given the blurred distinction between melodic Death and Gothic styles - the somewhat symphonic, sweeping keyboard lines hint more towards the latter, while the guitarwork tends more to the former. There are a few additional surprises left in store. For example, 'Only Our Scars' repeats, to a lesser and much more successful extent, the bridging-in of Sludge-inspired moments. The standout 'The Plague That Haunts The Darkness', centres around a passage filled with the harmonic clean vocals and soaring keyboards of While Heaven Wept-ish Epic Doom: an interesting idea which works astonishingly well. And last, before the brief instrumental closer, 'Her Shadow Is The Night' weaves a slower, melancholy, almost-pure-Gothic spell reminiscent of Angellore. All things considered, the eclecticism on display works strongly in Altars Of Grief's favour. They traverse the variety well - and logically - using it to develop and shape the album as it unfolds. Particular mention of the effective use of keyboards to add a pervasively melodic atmosphere is deserved, as is the driving and authentic, rawly venomous passion of the vocals as they snarl through some quite disturbingly personal and savage lyrics. If I were to level a criticism it would be that the production puts the drums a little too high in the mix for my taste, which also serves to highlight their possibly-deliberate inconsistency of tone and involvement - at times simply an obtrusively unadorned, time-keeping pounding that sounds programmed, at others given a much fuller, warmer-bodied and ornamented sound. Over-use of the former is really what lets the opening track down, in the end. Still, it's more than compensated for by the remainder of the album, and 'The Plague...', in particular, is worth the price of admission on its own. And, along with Norilsk and Sundecay, Altars Of Grief have earned a place on the short list of young bands that will come to my mind, at least, should Canadian Doom be mentioned in future.